What is it about Mulah that sets us apart from the rest? The answer is simple – we offer easy loans that are precisely that – easy. At Mulah, we focus our attention on being efficient and professional. When you need cash in a hurry, we are the team to approach. We will quickly process your application and ensure that you are faced with no hassles, hiccups or red tape along the way. What makes our process different and so easy? For starters, there is a simple 3 step process involved in acquiring the cash you need. The first step is to take some time making use of our slider calculator, in order to select the amount you would like to loan. This calculator will use your next pay day and the amount you wish to loan to calculate the final amount you will need to pay back, including the interest. Once you have done this, you can proceed with completing the online loan application form, which will take just a few minutes of your time. The final step is to wait for us to transfer the requested funds into your account. Of course, there are a few requirements that you must meet with, if you want your loan application to be approved. Only South African citizens who are 21 years or older may apply for a loan. You must also have a permanent job with your salary paid into your bank account each month. All loans are repaid via debit order, so you won’t even need to worry about making a manual payment to settle your outstanding amount. 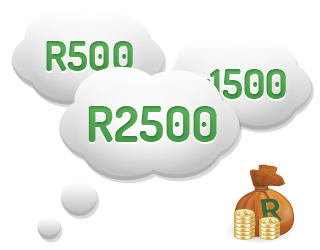 Generally, we only supply loan amounts of up to R2 500, but if you continue to renew your loan amount and handle your repayments well, you can earn trust points, which can soon see you eligible for loaning greater amounts of up to R8 000. If for some reason you cannot repay your loan, there is a R50 service fee charged on your account along with 5% interest for every month that your payment lapses. It is best to keep in touch with us and inform us if you feel that you cannot honour your payment, so that the necessary arrangements can be made for you. 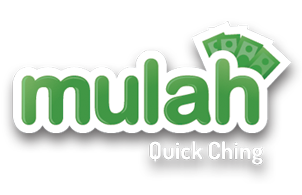 The Mulah brand is one that is synonymous with speedy application processing, friendly assistance and getting the cash you need when you need it most. We do not ask questions and our system is designed to quickly analyse your application, and provide us with answers regarding your loan and the amount that we can offer you. Take the time to apply for a loan with us and you will not regret it. If you are looking for a company that offers easy loans that you can complete online and without hassle, then Mulah is just the place to go. Our team is standing by to assist you in any way possible, in order to ensure that you are provided with the much needed cash. If you are unsure of the process or have any questions for us, feel free to chat to us directly at Mulah.